Wise stewardship requires that we adequately prepare for the future. We at Ligonier are diligently planning for the continuation of our ministry – ensuring that sound biblical teaching will prevail in the churches and culture of the 21st century. Through a bequest in your will or trust, your partnership can help us establish this vital mission for future generations. Such thoughtful planning will help awaken the next generation to the holiness of God and serve as a bold Christian witness to those who learn of your intention to support our work through your estate plans. Executing a will is not difficult or expensive and can be deeply rewarding. If you fail to prepare or update your will, state law determines how your assets will be divided using a formula that may not represent your wishes. Only through careful estate planning can you guarantee that your property will pass to the people and organizations that are meaningful to you. Ligonier Ministries operates as a non-profit organization under the laws of the State of Florida using tax identification number 25-1298611. We are qualified for tax exemption under section 501(c)(3) of the IRS code. That means that your legacy gift to us removes assets from the taxable portion of your estate. If you have remembered Ligonier in your estate plans, please let us know. We want to acknowledge your desire to establish a spiritual legacy that will continue to advance the Kingdom of God. If you have not considered this option, why not join with other friends who have made “the ultimate gift?” Through a bequest you will maintain your support of our work, perhaps at greater levels than possible presently. We are deeply grateful for such forethought and the impact of such faithfulness to our mission. For more information about including Ligonier in your will or trust, or for other tax-wise giving opportunities, please contact our Gift Planning Officer by emailing stewardship@ligonier.org or by phoning 1-800-220-7636 ext. 1185. You may prefer to contact Barnabas Foundation directly for a complimentary and confidential consultation with a Christian estate attorney. 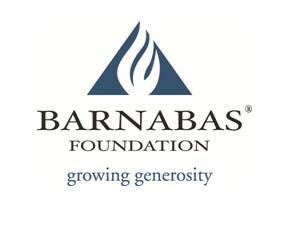 This trusted partner in gift and estate planning can be reached at barnabasfoundation.com or by phoning 888-448-3040.